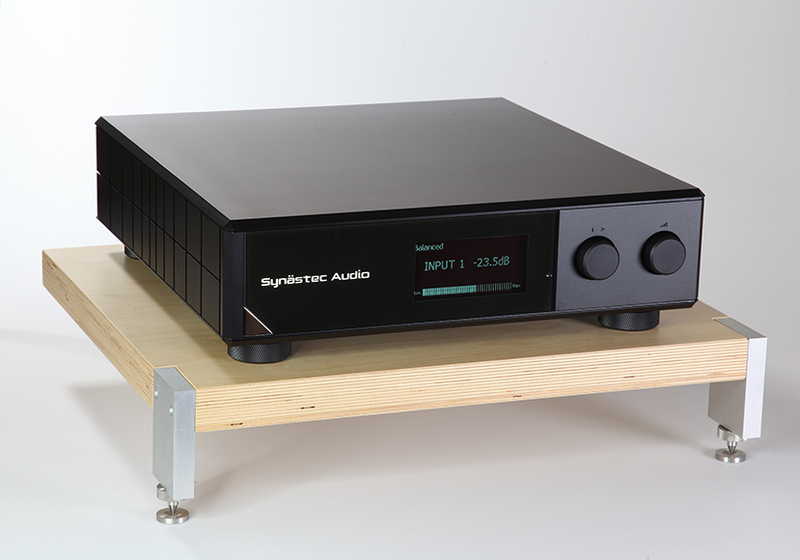 It has been a long term project for the Synaestec team to design the flagship preamplifier. However, it is almost impossible to improve one of the best preamplifier in the world, the Bivium. 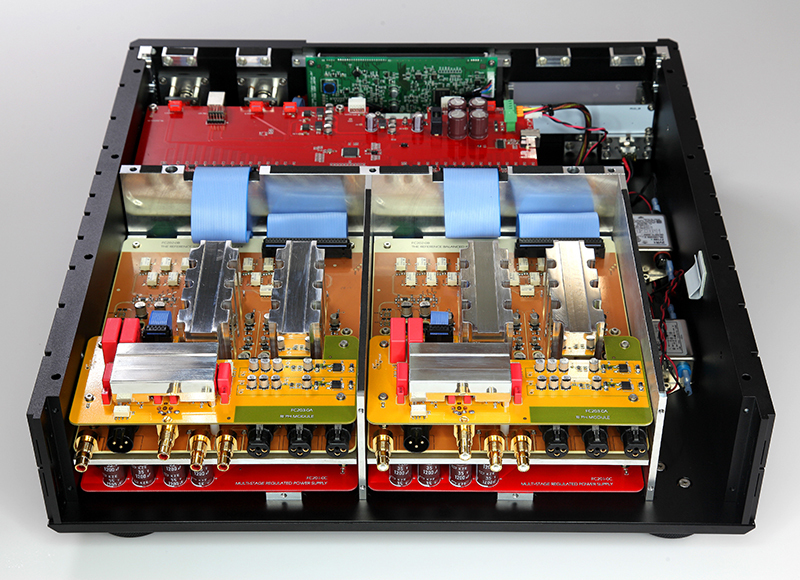 Until in the development of the Origo SACD player and the Saxum power amplifier, new ideas have been learned that could be applied to our new preamplifier for even better performance. 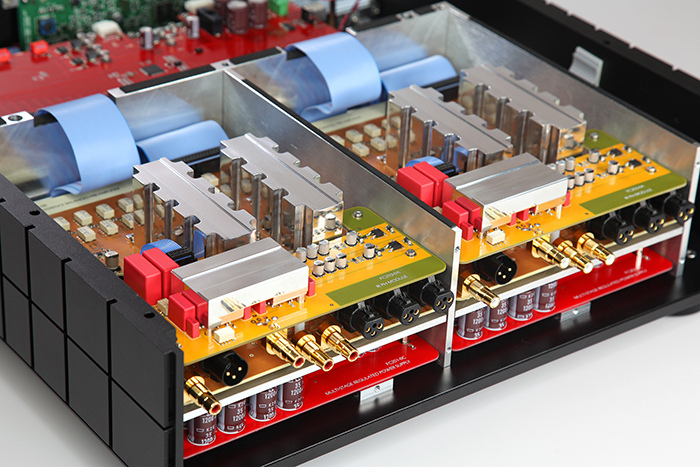 Here we comes the Fulcrum, the refinement in every aspect in preamplifier technology, the true audio reference. The most obvious difference between the Fulcrum and the Bivium is the use of integrated power supply. In most of the case a separated power supply will provide better noise isolation. But there is a downside, the cable connecting between the power supply and the amplifier unit could introduce ground loop and magnetic noise pickup. The ideal solution would be a separated power supply with an extremely short interconnection cable, which is the exactly the way in the Fulcrum. 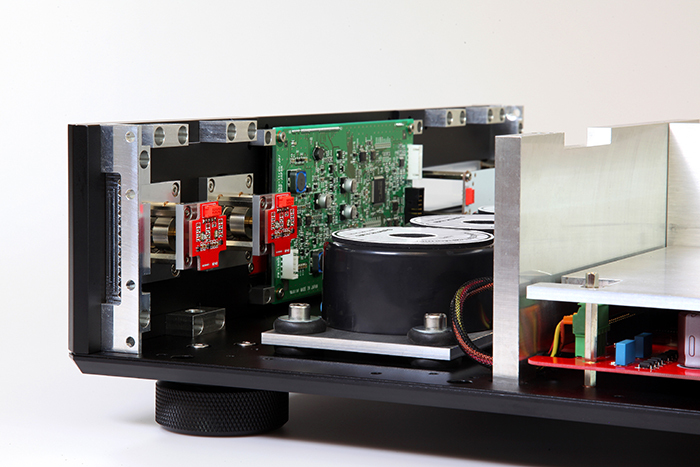 The fully linear power supply of the Fulcrum is enclosed in 5mm thick solid aluminium compartment for the maximum attenuation of radio interference. Inside this power supply sub-enclosure, there are three toroidal transformers further shielded by low carbon steel case for complete magnetic isolation. These transformers are then mechanically suspended by high damping rubber bushings. As a result, the power supply is effectively isolated electrically, magnetically and mechanically. 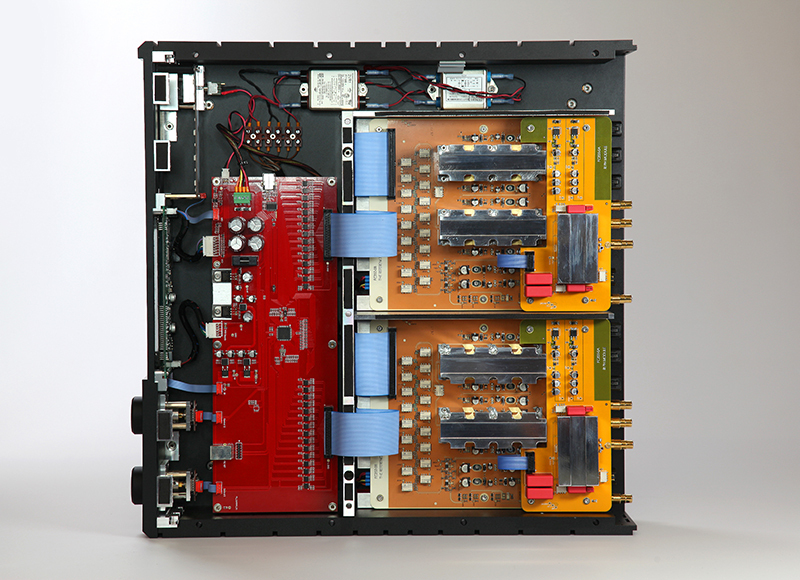 Through extremely short internal wires, the DC power rails are connected to the dual monaural regulator circuit boards. On these regulator boards in excess of 90000uF power supply storage capacitance is installed, which is ten times more than that in the Bivium for superior ripple rejection and tight solid bass performance. Each DC power rail goes through four stages of discrete regulators before going into the sensitive amplifier circuits. There are more than 30-stage of power supply regulators in total in the Fulcrum. Since the Quad-collaborated amplifier in the Bivium is so successful, the only way to surpass the performance of this great design will be connecting two Bivium together. The Fulcrum employs eight individual amplifiers in each phase, eight for the positive and eight for the negative. This is the equivalent of two Bivium preamplifiers connecting in parallel. The Octa-drive provides twice the available driving current, half the output impedance and even lower noise. The same shunt mode stepper volume control attenuator technology is used in the Fulcrum, but this time the impedance of the attenuator is further reduced to less than 100 ohms. The contribution from Johnson/Thermal noise is essentially zero. The measured output residue noise of the Fulcrum is -118dBA (referenced to 1V), which is 2dB lower than the Bivium. Reminded that the Bivium was the lowest noise preamplifier in the world, now the champion is replaced by the Fulcrum! Routing audio signal through the circuit board is a form of art. Signal jumping between layers and even jumping from board to board is usually inevitable. In the Fulcrum, countless effort have been put to the circuit board design, to achieve the uncompromised layout with the audio signal going through no via holes at all. The critical audio signals are routing through the Fulcrum circuit board in perfectly balanced differential pair transmission lines all the way from the input to the output, without any interruption or disturbance. The Fulcrum circuit board is built from military grade special hydrocarbon instead of lossy epoxy which is used in ordinary PCB. This super low loss circuit board material combines with the perfect differential pair transmission line geometry yields the electrical performance as good as the best audiophile grade balanced cable, which is the ultimate goal in circuit board design. With the doubling of amplifier electronics in the Fulcrum, the power consumption is also doubled and the amount of heat generated will be substantial. Heat sinking is crucial for the Fulcrum to maintain its ultimate performance. Solid aluminium heat spreaders are installed in the Fulcrum to divert the heat both in the upward and downward directions. 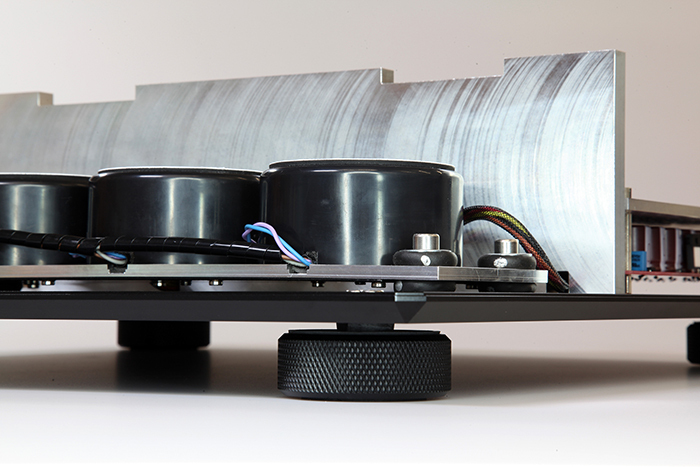 The entire aluminium housing is acting as a massive heatsink, keeping the amplifier circuit inside in the optimum operation conditions. Special suspensions feet consist of eight diagonally oriented high damping rubber springs are equipped in the Fulcrum. This unique suspension system with carefully matching stiffness provides excellent mechanical isolation not only in the vertical direction, but also in the horizontal direction. 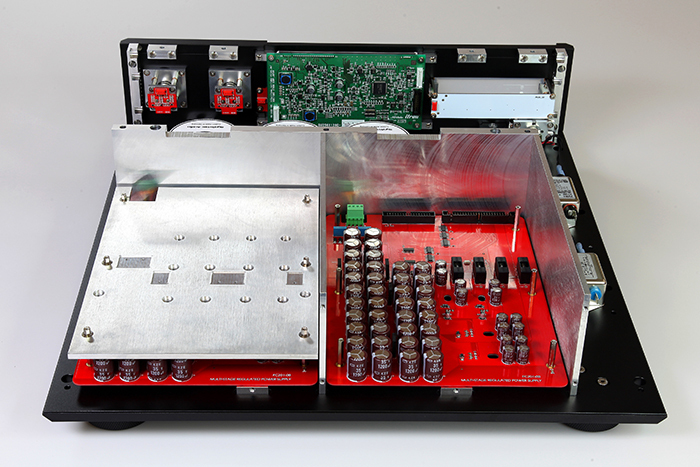 A newly developed RIAA phono input stage utilizing the same concept as the Octa-drive amplifier technology is available to be installed in the Fulcrum as an option.